This feeler is for an adapter plate to delete the stock power master cylinder, and replace it with a Wilwood 7/8" tandem master cylinder. 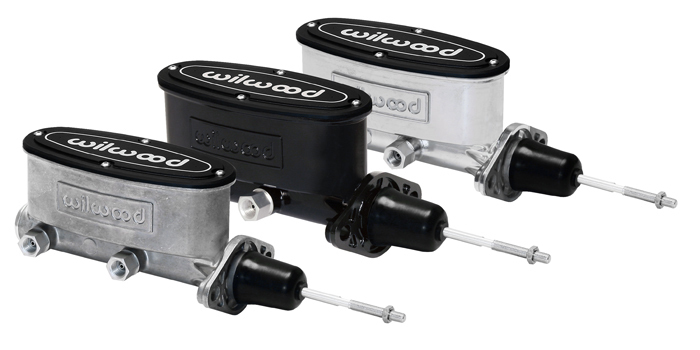 The master cylinder in question is the "Wilwood Aluminum Tandem Master Cylinder w/ Pushrod." There are also a lot of other, cheaper, Small Block Chevy Master Cylinders that will bolt up to this plate. Below is the Wilwood Dimensions. Here is the unit modeled up in SolidWork with hardware shown for reference. A 3D printed model was created to confirm spacing and fitment. This was before the adapter was thickened to contain the recessed bolts. Here is a image of the adapter bolted up for mock up. The recommended Hardware for this unit is M10 x 1.5mm Button head cap screws to hold the master cylinder to the adapter plate, and M12 x 1.75mm or 1/2" x 13 hex head socket cap screws. 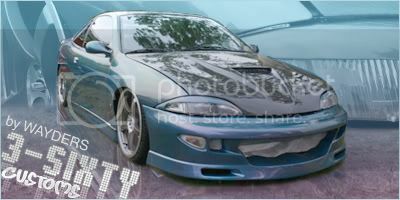 I can provide these after final fitment is determined. 1-9 People, $87.50 plus shipping. 10 or more people, $67.50 plus shipping. Shipping will be, USPS Small flat rate box. $6.50 shipped and insured in the US of A, and $20.20 anywhere else in the world. The push rod mounting point on the brake petal arm does need to be moved to provide appropriate braking force. so what was the amount when you were said and done? 400-500? Does the bracket come with the hardware..
With fittings and all around $400. As of this minute no, but I can source it. If we actually get a few people I'll probably add it in. Re-flaring the lines is the preferred method that people have done. A few have run short braided stainless lines with the correct adapters. If you convert to a manual brake master cylinder, where are the turbo guys getting their vaccum supply?? Would love to have one... Time to start checking the couch for spare change. Jason, Not 100% sure. I would ask PJ, Fetter, or Mike Iwan. Just a heads up, looks like you can pickup the plain master for around $200 on amazon... I've seen as low as 175 but not sure how reliable the source. Would you mind posting the bolt pattern on the firewall side so I can see if it fits 2nd gens? I'm interested, count me in! Any chance you could take a picture of what would need to be done to the pedal push rod? James that is fine. When I get back home tonight I'll post the dimensions. I have not does this yet, this is being installed one Mike Iwans' cavalier. You could ask DaFlyinSkwirl (Pj) about what he did. I believe he posted pictures and dimensions when he did it on the "squirrel." I'll look to see if I can find the posts. The bolt holes are 87mm / 3.425" apart, and square top to bottom and side to side. Made for 1/2" or M12 hardware. One of the stock holes is slotted a little on 3rd gens. The upper right, if I recall correctly. Working on getting a completely firm price for 10 people. Will update soon. If some info come up on what all needs to be done to make it a "bolt on" I will be in. Would like to know what else needs to be done with the lines and petal before i snag one. Bah. I keep forgetting to measure it. In the morning I will. I would bug PJ, Fetter, or Mike about it....but I do not think mike has modified his peddle arm yet. I was going to buy PJ's but since he is keeping his car now I will be making my own. When I get around to it I will takes lots of pictures. Won't work on a second gen. This is a pic of our bolt pattern. Hope to have firm pricing this week. I'll update as soon as I do. Only 2 more "Who's coming with me?"